Lauded as one of the most original and brilliant of Georgian composers, Sulkhan Tsintsadze synthesized 20th-century classical elements with the rhythmic, melodic, harmonic, and modal characteristics of Georgian folk music. In so doing he developed, across a wide spectrum of the repertoire, his own highly personal and approachable idiom. His 24 Preludes for Piano were composed in 1971 and are unmistakably national in character. He gave new life to traditional Georgian folk songs and dances in a masterfully structured cycle that flows with the seamless eloquence of a film. This virtuosic kaleidoscope of contrasting images reveals music that is both extravagant and vibrant. 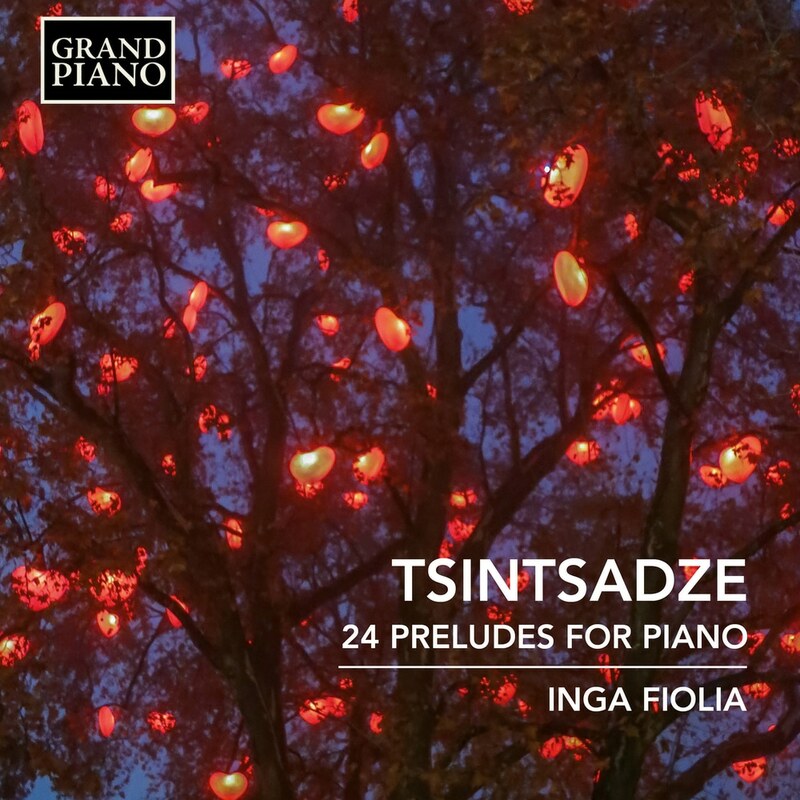 Inga Fiolia studied at the Central Music School of the Tchaikovsky Conservatory in Moscow and the Cologne Musikhochschule with Alexey Nasedkin, Rudolf Kehrer and Vassily Lobanov. She has collaborated with orchestras including the Brussels Philharmonic, the Georgian State Chamber Orchestra and National Philharmonic, and the South Westphalia Philharmonic, and has broadcast on all the major German TV and radio stations.